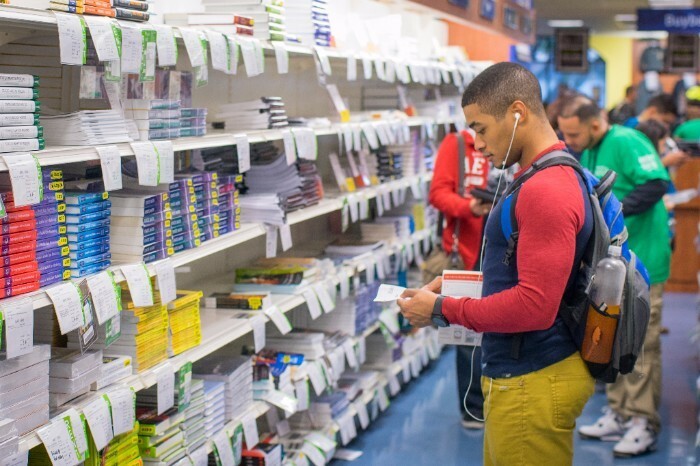 On average, college students spend between $600 and $1,400 on textbooks each year, according to the College Board. These costs contribute to mounting student debt and cause some students to take longer than four years to graduate. FIU has put in place a number of measures to help students manage costs and graduate on time, including some specifically aimed at reducing the cost of books. The latest is FIU’s partnership with OpenStax Institutional Partnership Programs, which encourages the creation and use of free, peer-reviewed, open source textbooks. FIU is one of 11 universities invited to participate in this strategic partnership in 2017-2018, which provides consulting services and technical support to improve and augment FIU’s open educational resources, while making them available to students elsewhere. Last July, FIU Online launched an initiative to recognize faculty who are looking to reduce the cost of course materials for students. Affordability Counts currently has awarded 103 professors teaching 150 courses with the Affordability Counts Medallion, which is granted to professors that have selected course materials costing $60 or less. Affordability Counts is being piloted by FIU and will be shared with FLVC members across the state. In addition, FIU has created the FIU Textbook Affordability Task Force, led by the Office of the Provost. The task force has spearheaded FIU’s institution-wide efforts to find and create initiatives that make higher education more affordable. By reducing textbook and other instructional material costs, FIU minimizes financial hurdles and helps students progress to timely graduation. is this just a justification to raise tuition next year? ABOUT TIME…..cost of books has ALWAYS been a total RACKET….